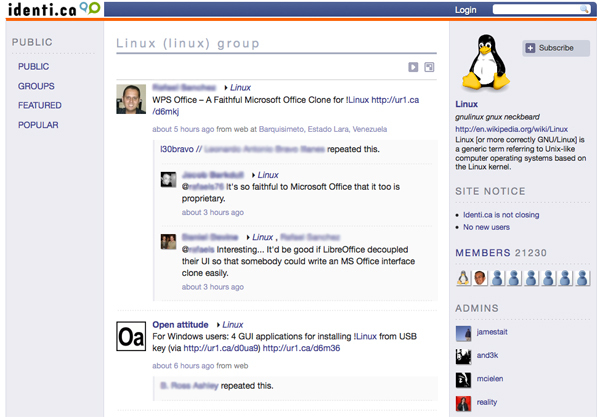 Status.net is an internet-based piece of software for microblogging, and is an alternative to Twitter. Microblogging is the transmitting of short messages, often limited to 140 characters. Microblogging systems make it easy to follow other bloggers and keep up to date with their news and views. Often the microblogs (also called tweets or dents) link to more detailed information on webpages elsewhere. 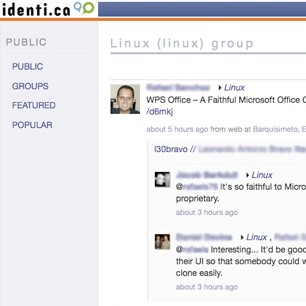 The main website using status.net is called identi.ca and there are hundreds of thousands of users there. While Twitter is a centralised service, anyone can set up a Status.net server and use it to talk to other users on the network. What this means in practical terms is that that it is harder to monitor or censor a status.net account in comparison to a Twitter account.